Expandable Flash ads. The campaign won Pointroll's Beanie Award for outstanding metrics, and was featured in OOMA Magazine. Click to view sample. Landing page redesign due to launch in the Spring of 2011. M.A.S.H. 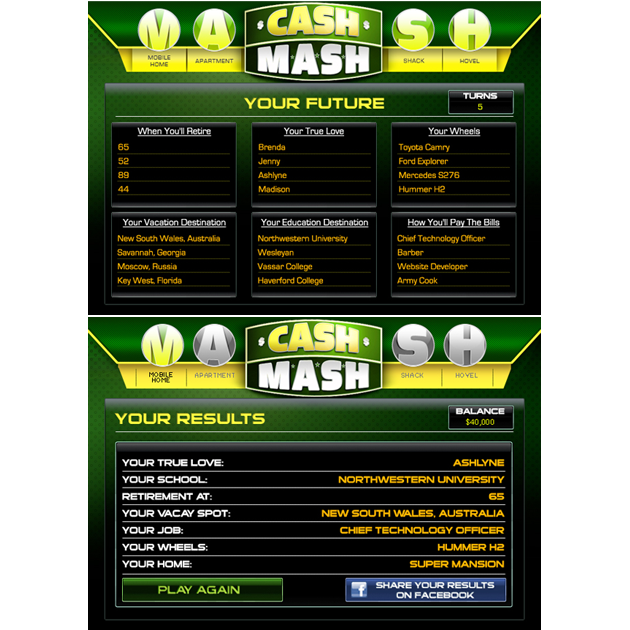 selection phase & results. Click here to play the game. Channel One News' YouTube channel background design, and imagemap setup. Click here to visit the site. 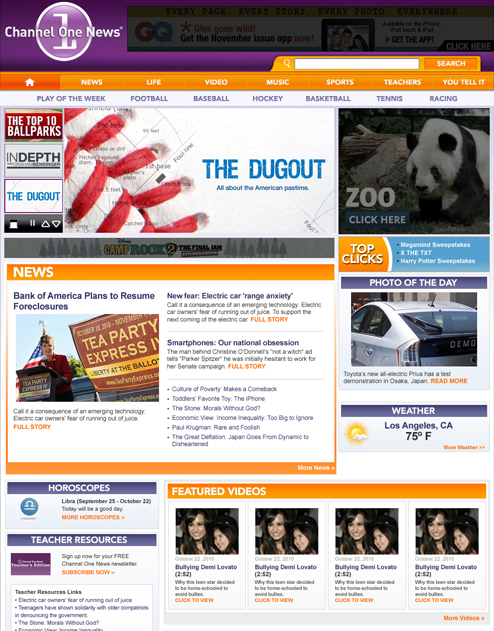 Presentation displays showing featured sites in the Alloy Digital Network and press clippings. Presentation displays featuring case studies and Alloy editorial offerings. 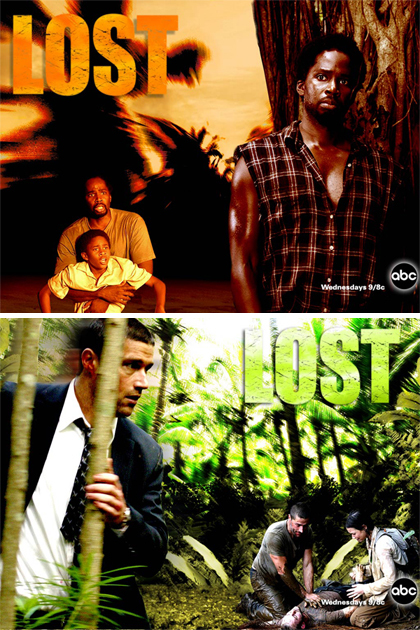 Character wallpapers and social media assets promoting the release of the Season One DVD box set.